This day has been a long time coming. After countless reports circling on a possible all-new model, Lotus has finally confirmed the suspicion – the British automaker is indeed working on a hypercar, and it will be fully electric, no less. 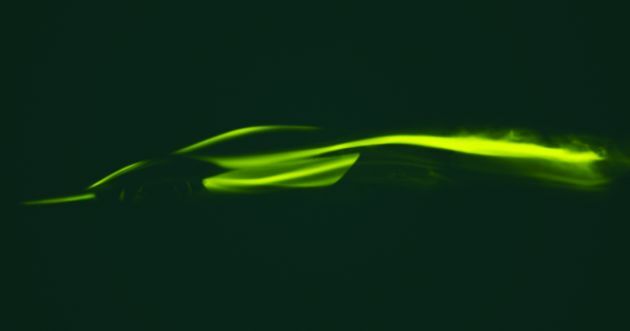 Just a single photo (more like a teaser) of the vehicle is shown, the above illustrating the new Lotus Type 130 through computational fluid dynamic modelling. It’s hard to tell what the hypercar will look like at this point, but Lotus says the modelling demonstrates the car’s unique lines and airflow. Company CEO Phil Popham said: “Type 130 will be the most dynamically accomplished Lotus in our history. It marks a turning point for our brand and is a showcase of what we are capable of and what is to come from Lotus.” At launch, the Type 130 is said to become the first all-electric hypercar from a British car manufacturer. Details surrounding the car’s propulsion system and other features have yet to be revealed, though Lotus claims that the vehicle is already in the advanced stages of development. While we wait for its official unveiling, watch the teaser video below. Do you hear the electric motor whizzing? Ah Lotus, they built nice, terrific handling but cheaply constructed cars then. Engineered with high scores but luxury/refinement a solid zero. How are they going to compete in today’s automobile industry that emphasizes practically everything – style, comfort, refinement, economy, safety, performance and some practicality? And they want to produce a hypercar like Mclaren? I’m excited! Not that i can afford one haha. why world’s first? , just write Britain’s first electric hyper car…. Has there been one before this? It’s world first British EV. Same with ERL as World First Malaysian high speed rail. Tesla Roadster already in production, and that thing beats nearly all super/hyper toys.